Join me this Friday at 9 PM as I welcome Elsie Augustave, author of the Roving Tree. ELSIE AUGUSTAVE was born in Haiti and is a graduate of Middlebury College and Howard University with degrees in foreign language and literature. Her dedication to excellence in her field has been acknowledged through numerous international grants for continued studies allowing her to pursue her passion for culture in Senegal and France as a Fulbright Scholar. Among her many accomplishments, Augustave choreographed Elima Ngando, a major production for the prestigious National Dance Theater of Zaire, now the Democratic Republic of Congo. Augustave currently teaches French and Spanish at the renowned Stuyvesant High School in New York City, and is also a consultant for the College Board. 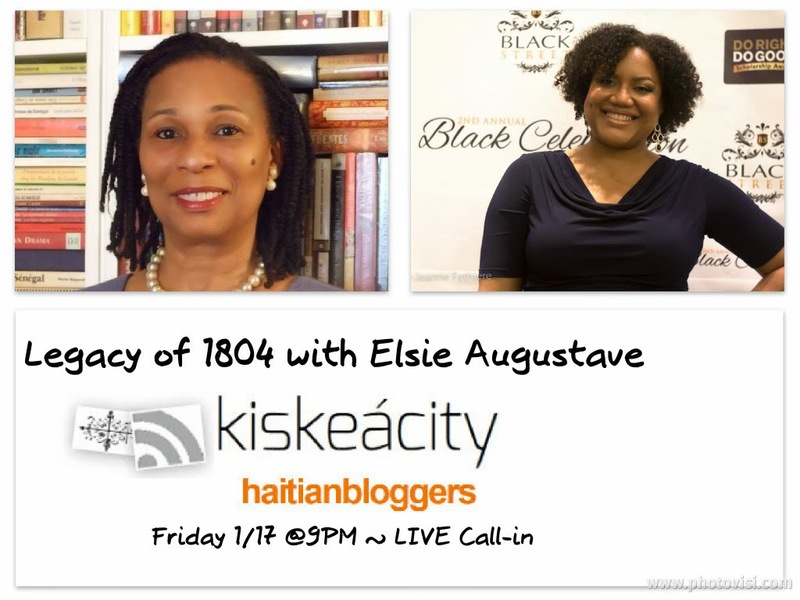 Listen Online http://www.blogtalkradio.com/blackwholeradio/2014/01/18/legacy-of-1804-with-guest-elsie-augustave-haiti-novel or on the phone at (323) 927-2913.